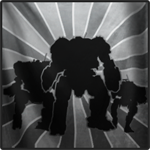 MWO: Forums - Breakables Unaffected By Laser Weaponry! Breakables Unaffected By Laser Weaponry! Description: Everywhere in the "Solaris City" Map, Laser Weaponry does NOT affect 'Breakable Items' of ANY kind!!! Reproduction Rate: 100% -- This Bug is ALWAYS REPRODUCIBLE!!! What SHOULD be happening: 'Breakable Items' taking (and animating in response to) Damage from ALL hits from ANY Weaponry, INCLUDING Laser Weaponry. Comments: I've verified my install with the MWO Repair Tool, and there are no problematic files. Right now, the behavior I'm seeing from the "Solaris City" Map is inconsistent with Other Maps that have 'Breakable Items' on them. Also, I just came to realize as I was typing this out that this inconsistency creates an Active Unbalancing in MWO, as people can use the signs like an Unlimited Shield to duck behind against Laser Weaponry. Please do a Fix for this, so ALL Weapons, not just Ballistics & Missiles, break the various 'Breakable Items' on the map? Edited by D V Devnull, 26 May 2018 - 11:05 PM. Same happens in Crimson with the floodlights on the platform... They are unaffected by anything that doesn't cause screen shake on impact. Edited by BTGbullseye, 27 May 2018 - 03:43 AM.